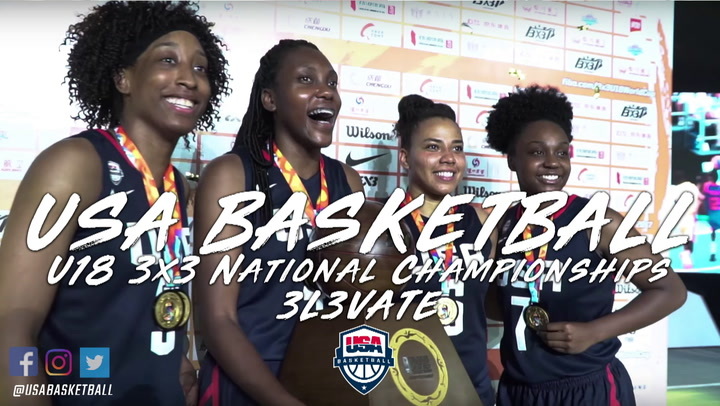 After Day 1 of competition in the 2019 USA Basketball 3x3 U18 National Championships, two men’s teams remain undefeated while the women’s tournament heated up with four teams tied with a 4-1 record. 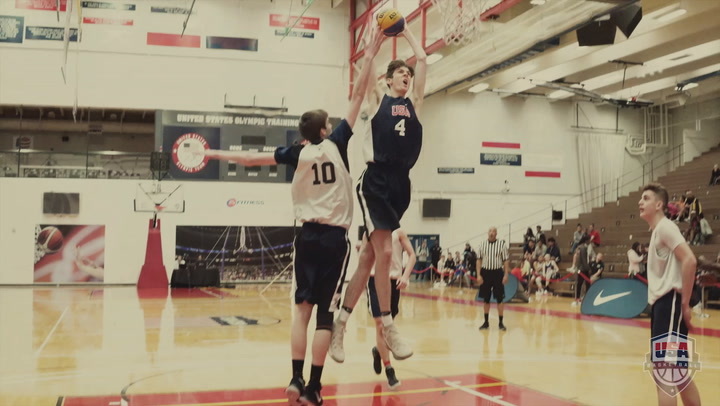 The USA 3x3 U18 Nationals are serving as trials for the men’s and women’s 2019 USA Basketball’s 3x3 U18 World Cup Teams, and competition has been fierce. In the men’s tournament, Attack (5-0) and Pursuit (5-0) both ended the day unbeaten, while leading the women’s tournament with a bye to the quarterfinals are Team Denver (4-1) and TGB (4-1). Team Attack and Team Pursuit, each made up of some of the nation’s best men’s prospects, finished Day 1 a perfect 5-0. 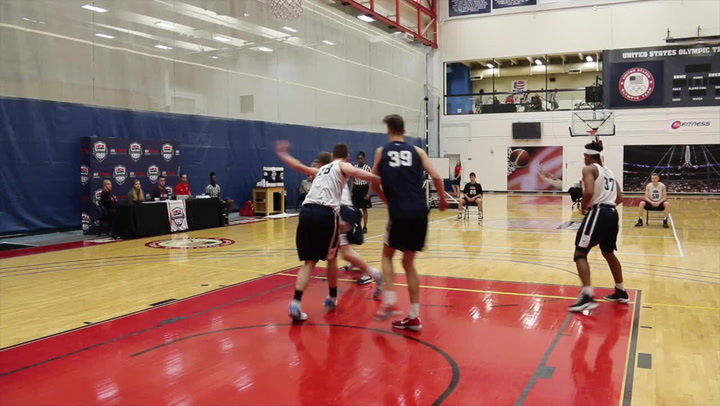 Dawson Garcia, a 6-foot-11 guard from Prior Lake, Minnesota, said it took some adjusting to get used to playing 3x3 with Attack, admitting that at first the game was a little challenging, but he said his team is playing more comfortable now. Pursuit, however, had a scare in its first game of the day in a 21-20 win over PLUTO, a team composed of local talent from the Colorado Springs area. The loss proved to be the only defeat of the day for PLUTO, which is ranked second in Pool B. H20 is ranked behind Attack in Pool A at 4-1. Four teams in the women’s tournament finished the day 4-1. 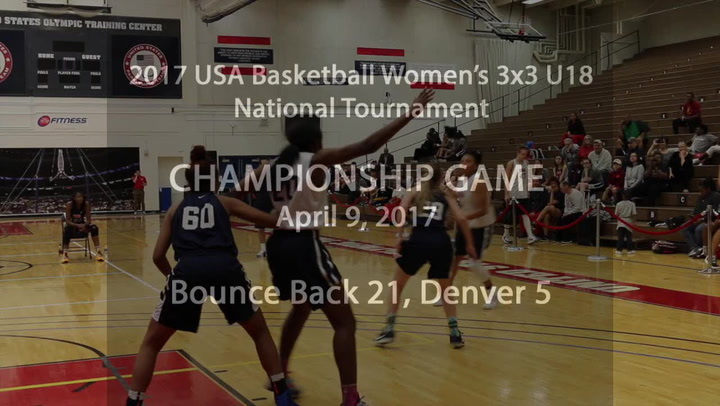 Based on FIBA’s 3x3 tiebreaking formula, Team Denver leads Pool C, followed by Blue Star 30 Stars, while TGB leads Pool D followed by Quest. Team Denver started the day with a loss to It’sJustWork, which finished ranked third in Pool C, 21-14, but stormed back to defeat its next four opponents, not allowing a team to score more than nine points. 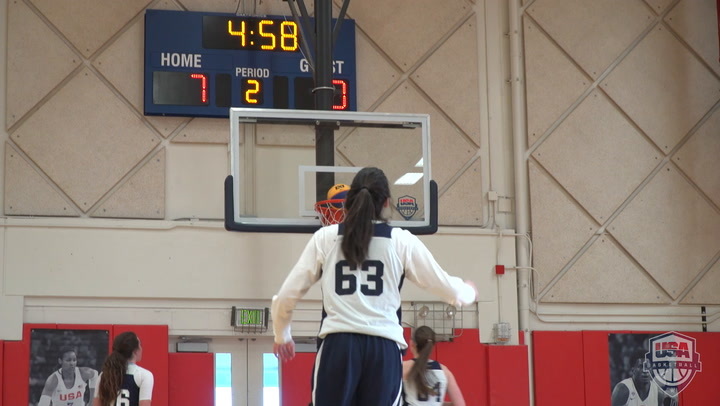 Jana Van Gytenbeek, a Stanford University commit from Colorado, said Team Denver needed a game to get acclimated to the rules and the pace of the live game, but felt confident moving forward. Three of the four players on Team Denver are from Colorado, which Van Gytenbeek also attributed to some of their success, as they did not have to acclimate to the altitude. Just one women’s team remained undefeated midway through Day 1 as The Future, comprised of three players from Texas, and a local Colorado athlete, started the tournament 3-0, but quickly ran into Quest, a team boasting three Division I signees. Quest defeated The Future handily 21-10 as University of Notre Dame commit Samantha Brunelle dominated on virtually every area of the court. The Future lost its last two games of the day and is ranked fourth in Pool D and will battle in a play-in game Sunday morning. Quest’s only loss of the day was a 21-19 defeat by TGB, which was beaten by The Future 20-18.